Another Woz says Geiz destroys Oma Zi-O’s timeline and creates a new one. Schwartz appears and reactivates the Shinobi Watch. Another Shinobi disappears. Another Woz says he’ll see his savior Geiz again and also says bye to his demon king as well. 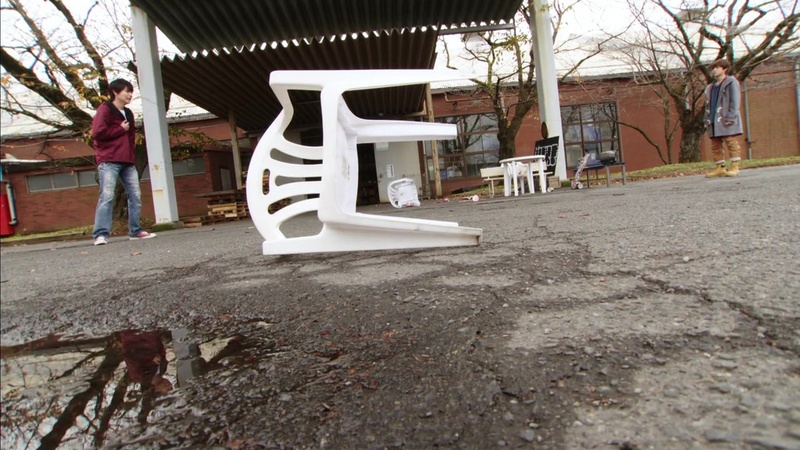 Sougo, Geiz, Tsukuyomi and regular Woz head back to the shop to recap what’s happened. They accept that Another Woz comes from a timeline that branched off when Geiz defeated Oma Zi-O on Oma Day. And that Another Woz has come to help ensure that happens. 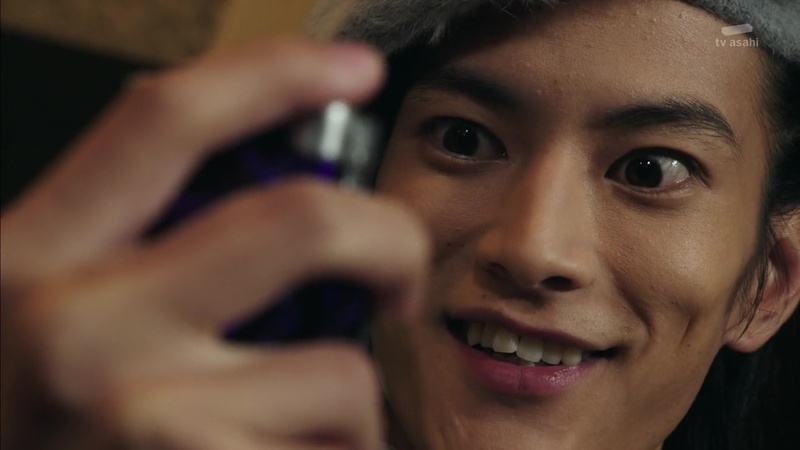 Geiz asks Black Woz what that strange book White Woz had. He’s unsure, but believes the future White Woz writes in the book becomes reality. Later that night, Schwartz finds a worried Rentarou thinking on a bridge. Schwartz assures Rentarou that as long as the Watch works, he’ll be fine and won’t lose that power. He adds that the power was stolen from Rentarou in the future (though omitting that it was Schwartz himself who stole it). Schwartz says Sougo and Co. are not allowed to interfere with a different timeline. And it is not possible to create a Shinobi Watch in this era. Rentarou wants to know that this power will really help him save the weak. Schwartz says Rentarou is basically invincible and will become king. Next morning, Woz finds Heure to ask about Another Shinobi. Heure says Rentarou is to become Kamen Rider Shinobi in 2022 and he has a strong sense of justice. Geiz and Tsukuyomi are on their way to 2022 to create a Shinobi Watch. But the time highway won’t allow them to “get down” because of the different timelines. That means Another Shinobi really is unbeatable. Back in 2019, Another Shinobi attacks the four goons that attacked Rentarou and his friend. Another Woz and Schwartz are watching the scene. Another Woz comments on the tricky situation Schwartz has created. You can’t create a Shinobi Watch without defeating Another Shinobi. And you can’t defeat Another Shinobi without a Shinobi Watch. Another Woz decides to spice things up a bit. He writes in his book that Sougo runs into Another Shinobi. Back at the shop, Sougo gets a feeling that he must leave. Woz warns against it as Sougo might run into Another Woz. 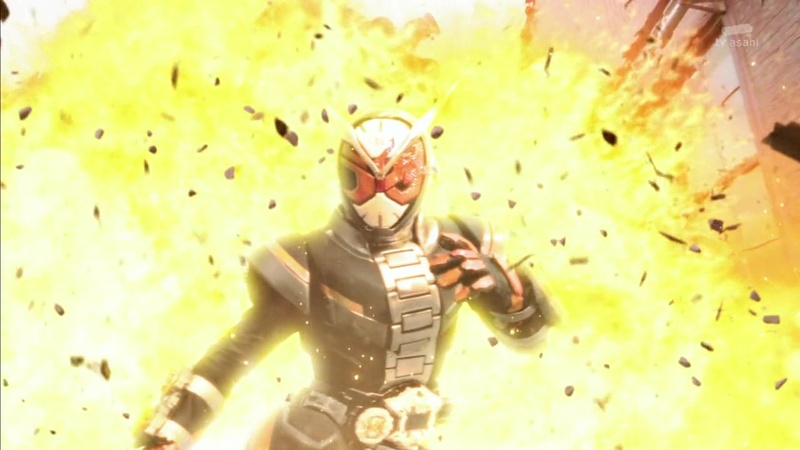 And he warns that history will really change if Sougo continues pursuing Kamen Rider Shinobi, thus affecting his path to being the demon king. 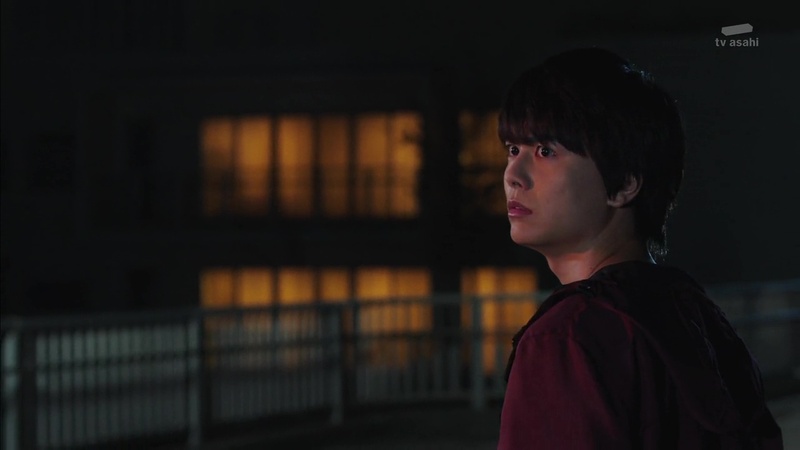 But Sougo believes that Rentarou can really become Kamen Rider Shinobi in the future as he trusts in his sense of justice to help those who need it. Sougo runs out and finds Rentarou. Rentarou is conflicted about his power and the idea of becoming king. Sougo says if Rentarou has chosen out of his own free will to pursue being king, then he must be defeated. But if Rentarou believes in his future, then he should have the courage to give up this power. Rentarou goes Another Shinobi and Sougo henshins. They battle and Sougo is able to beat Rentarou who dehenshins. Schwartz walks up and reactivates the Watch again before shoving it back into Rentarou’s body. Rentarou is back to being Another Shinobi. Sougo implores Rentarou believe in his future self. He delivers a Time Break at Rentarou and he dehenshins once again. Schwartz reaches for Rentarou’s chest, but Rentarou stops him. He grabs Schwartz’s wrist and says he believes in his future self and eventually being able to gain the power he needs to protect the peoples. The Shinobi Watch appears in his hand. Schwartz grabs Rentarou’s neck and reaches into his body for the Watch to reactivate it one more time. Another Woz thanks his demon king and henshins. He tells Sougo not to interfere as he battles Another Shinobi. Another Woz whips out his spear and easily handles both Sougo and Another Shinobi. Another Woz then uses the Shinobi Watch to uphenshin to Shinobi Armor. He exerts his power on Another Shinobi before writing in his book that Another Shinobi will fall before him. Another Woz delivers a One Shot C’Mon Finish Time finisher to destroy the Another Shinobi Watch for good. Another Woz tells Sougo not to misunderstand as this is not the time for them to battle just yet. Sougo runs into Woz and tells him he is confident in Rentarou’s future. Woz says that’s a future that is favorable to the other Woz and not him. And that’s thanks to Sougo. Woz would like to remind Sougo that everyone except them would like to change the course of history. On the other side of town, Another Woz approaches Geiz and Tsukuyomi under the bridge. Another Woz reads from his book that a warrior with three Rider Watches that shouldn’t exist appears on Oma Day 2019 to defeat Oma Zi-O. Another Woz offers Shinobi Watch as one of those three watches. 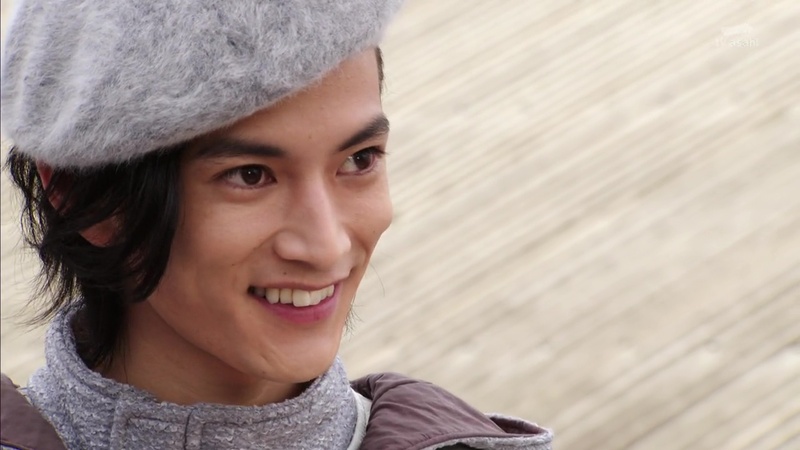 But Geiz refuses, saying he doesn’t trust Another Woz. He will defeat Oma Zi-O on his own. Another Woz, unfazed, says he will see him soon and leaves. 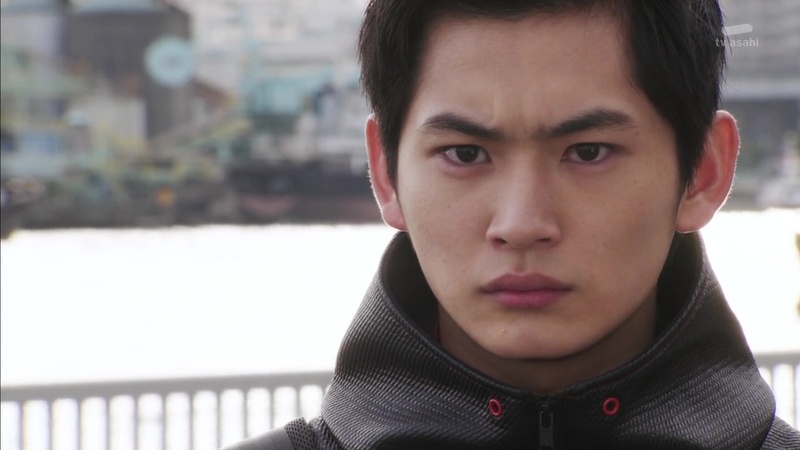 Geiz and Tsukuyomi come to terms with the fact that a new timeline has started and an unknown future awaits them. They both reaffirm their resolve to continue and finish what they came to this era to do. Kamen Rider Red Buster Quiz appears! I think this was a great episode. The show is definitely setting up the idea that the future is not set in stone and our heroes control their own destinies and the fate of the world. But really, like we’ve established, we shouldn’t really get into the details. Just at the most basic point, Sougo has the power to change his fate and not become the demon king that wipes out most of Earth. Regardless of all the Wozezes or TimeJackers, Sougo has a chance to believe in himself and change the future that Geiz and Tsukuyomi know. The final scene with Geiz and Tsukuyomi reminded me of something I wondered about. (And this might fall into the details part.) 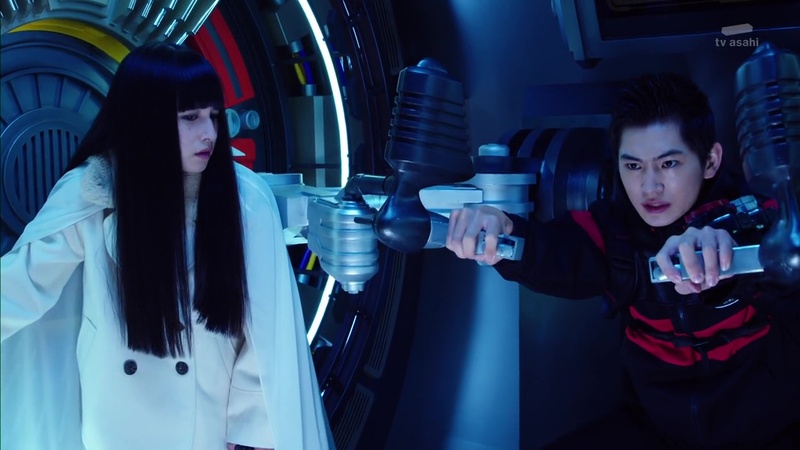 At the end of the season, will Geiz and Tsukuyomi return to 2068? In the scene here, they talk about them facing an unknown future. A future that is completely different from they future that know all about and experienced themselves. Certainly an interesting question to ponder, especially with the possibility that Geiz and Tsukuyomi may have a more personal connection to Sougo and Oma Zi-O that has been revealed yet. I rarely get wowed by toys on either Sentai or Kamen Rider. But I think Woz’s spear is pretty cool. Overall, an exciting episode and nice wrap-up to last week’s ep. In my opinion, that was very good episode too. 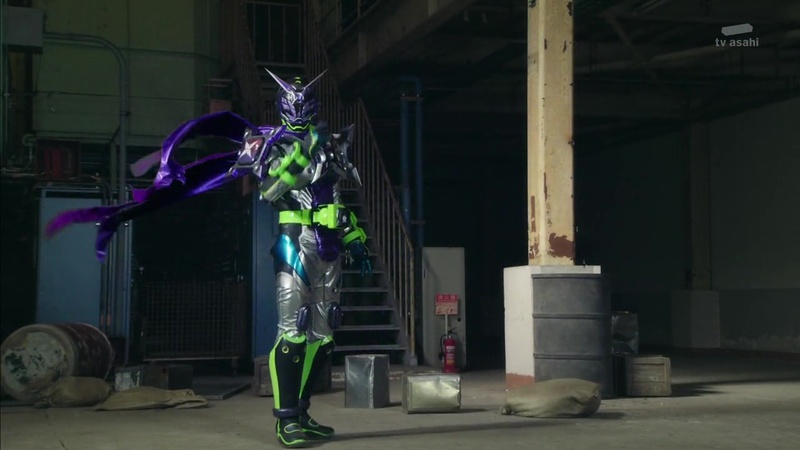 It would be great to see Rentaro in the future episodes again. I’m glad Sougo is stubborn and believes in his own theory. I wonder what White Woz is planning? Could it be? Another, unknown future for our hero is awaiting?